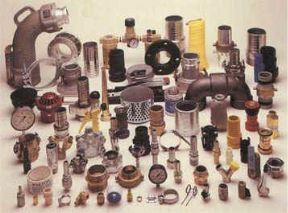 Shenandoah Industrial offers a wide assortment of hose from water and air (commonly referred to as general service) hoses to chemical hoses, transfer hoses for petroleum, material handling, dust collections and woodchips hoses, and more including a wide assortment of fittings, couplings, clamps and installation tools. We also offer metal braided hose assemblies as well as a wide selection of expansion joints. 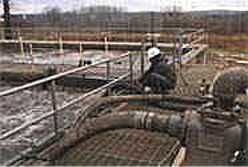 Rubber expansion joints (spool-type, wide arch, spherical) include multi-arch and filled arch in butyl, neoprene, nitrile, hypalon, natural EPDM, and viton. Metal expansion joints are available in non-controlled or ring-controlled, and have modifications to design single, double internally-guided, Universal, hinged, Gimbel and Internal or External pressure balanced. Available with flanged, threaded or weld ends, single or multi-ply. Teflon expansion joints which are primarily designed for chemical services are also readily available at competitive pricing. We offer rubber and plastic hoses that are lightweight, flexible and economical with a smooth bore which are ideally suited for applications such as oil, chemicals, gasoline, weather and abrasives from several manufacturers allowing us the opportunity to offer customers the very best for his application. Additionally, we offer a wide assortment of tubings, hot tar & asphalt hoses, neoprene and gum tubing, steam cleaner hose, hot water washdown hose, mill discharge hose and fire hose.